Hotels and resorts do a lot these days to stand out among the crowd, but if you’re up for a little adventure, wild nights are waiting in Canada. If you don’t know Saguenay-Lac-Saint-Jean, don’t worry, you’re not alone. One of Canada’s better kept secrets, it’s located in the region of Quebec, north of Quebec City, and it’s worth putting on the long list of places you need to go. Saguenay-Lac-Saint-Jean offers something most travelers have never experienced before. 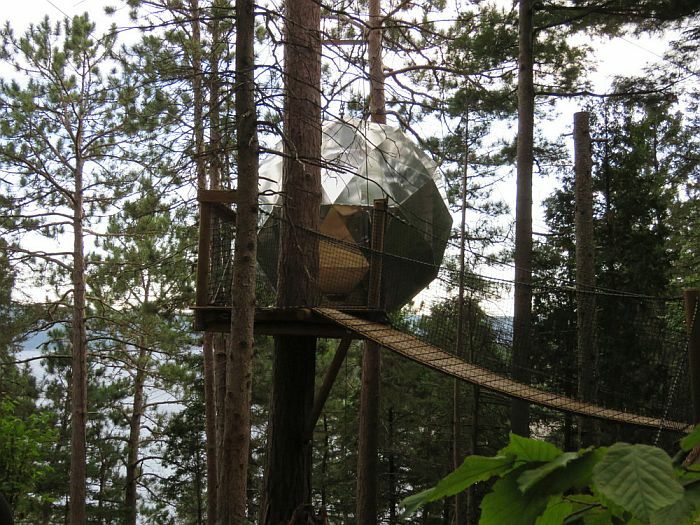 Cap Jaseux is home to two suspended spherical tree houses, about a two and a half hour drive north of Quebec City. From the outside, there’s an obvious wow factor. But inside is just as impressive. You’ve got an amazing view of the Saguenay Fjord, but the sphere itself is so cleverly laid out, it’s hard not to look around and just smile. There’s no electricity or running water, but you’ve got pretty much everything else you’ll need: a lantern, a mirror, dishes and even a camping style cook top to make coffee in the morning. 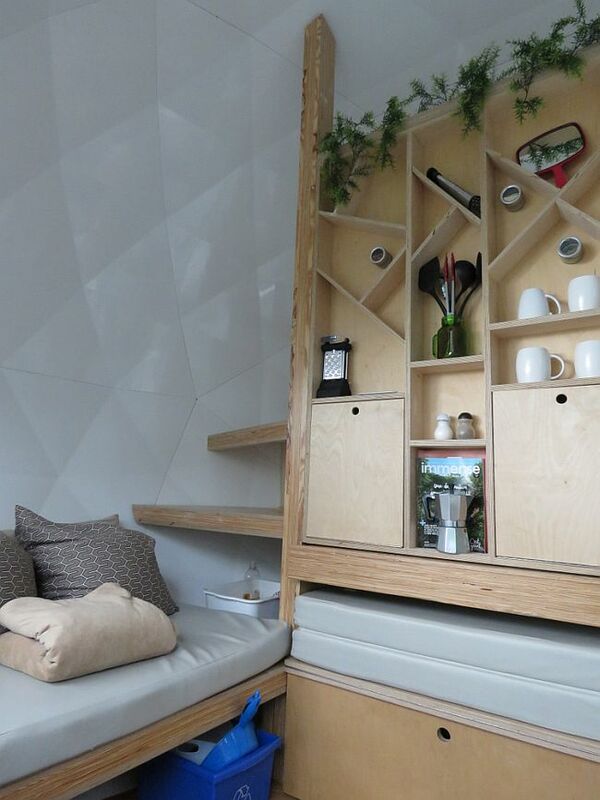 Bunk beds and strategically placed cushion-top bench-like seating means you can squeeze in four for the night. The lantern is a must at night. If you’ve got a head lamp, be sure to pack it. Water and the compostable toilet is outside, not even a minute away, but with no one else around, it’s dark at night. Showers and flush toilets are about a 15 minute walk. Parc Aventures Cap Jaseux is open from mid-May to mid-October. $177 US ($235 CAD) for up to four people. It is $15 US ($20 US CAD) less in spring and fall. 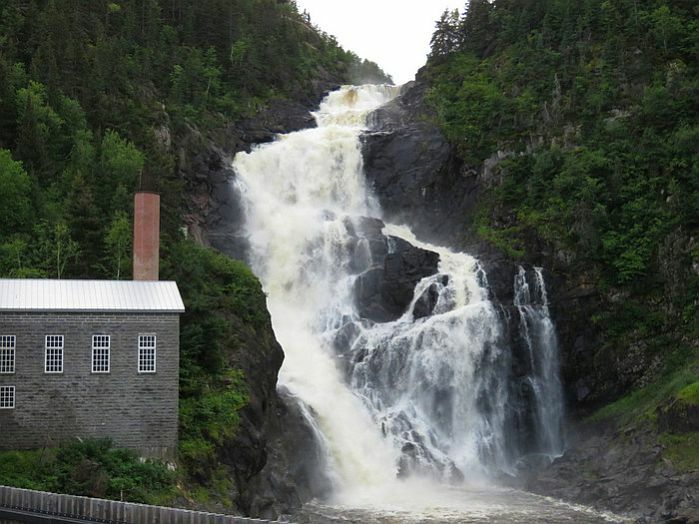 With falls high than Niagara, Val-Jalbert is a winner with travelers who like being outside. You can climb the 764 steps to the glass platform above the heart of the falls or take a cable car. Val-Jalbert the town dates back to the early 1900s. It was a company town built around a pulp mill that once thrived at the base of the falls. There’s 40 original buildings including the pulp mill and many employee houses. Inside and out, some look just like they did in the day. But some have gotten a luxurious re-do inside, which makes spending the night a luxurious way to brush up on some history. Just like Cap Jaseux, Val-Jalbert operates seasonally, opening every year around the end of May and closing in mid-October. Figure just under a three hour drive from Quebec City. The cost of a one night stay for two people at Val-Jalbert should run about $221 US plus tax. From history to remote habitat.. It’s all about wolves at Aventuraid, a wildlife observation center just for wolves. It’s remote, plan on about a four hour drive north of Quebec City, but your incentive is 42 arctic and grey wolves make their home in the nearly 200 acres of woods here and you can watch.. practically from bed if you stay the night. 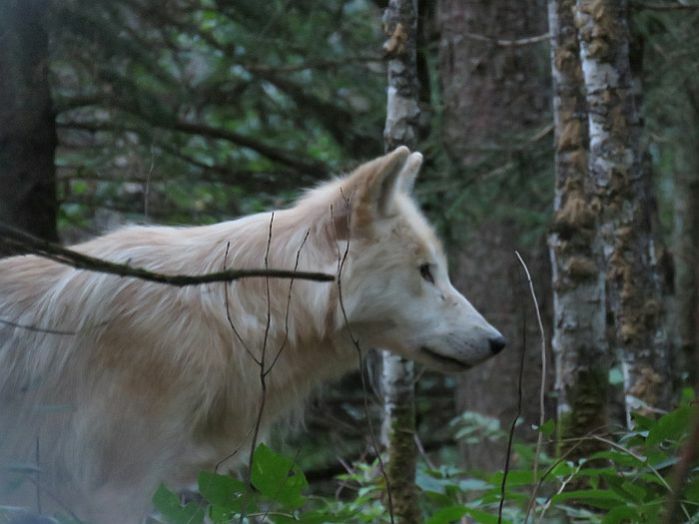 The wolves live in fenced enclosures 2.5 acres (80 hectares) to five acres in size. You can walk the trails that run alongside the enclosures. Even better, spend the night. A couple small cabins, a yurt, a permanent tent are all strategically placed outside the enclosures, so roll over the right way and you just might see wolves outside your window. Wolves are very shy.. so particularly during daylight you have to be patient when it comes to spotting them. But they are there and they are just as curious about you, so make sure you spend some time walking around. One of the resident packs is an imprinted pack, meaning the first thing they saw when they were born were people, so they get excited, just like puppies, when they see folks heading their way. For an extra $38 US, you can book a time to go inside the enclosure with Aventuraid owner Gilles Granal and become part of the pack. Their curious and affectionate, and they are quite possibly more entertained by you, then you are by them. It’s very easy to forget you are not petting a dog. 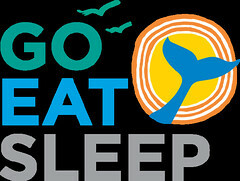 Prices range from $61 US to $129 US per night for double occupancy. Prices listed above can vary due to exchange rates. Review and photos by Dana Rebmann. Her trip was organized by Tourisme Saguenay-Lac-Saint-John and Tourisme Québec, but as always her thoughts and opinions are her own.